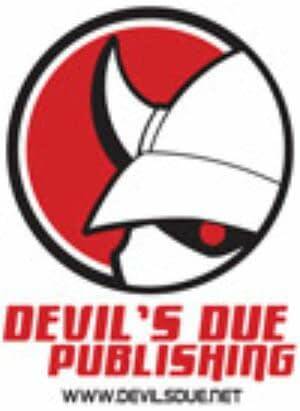 Devil’s Due Publishing is mid-level publisher, alongside the likes of Zenescope, Avatar, Bluewater, IDW, Dabel Bros, Dynamic, Boom! and Archaia, though it’s been around longer than most. They’ve published some high profile books, including GI Joe, Barack The Barbarian, Micronauts and Family Guy, employed some well-known talents such as Rick Remender and Guy Davis, and are a common sight at comic book conventions. ButDDP has also been the focus of a number of stories over the past year about unpaid or seriously delayed payments to creators. That don’t seem to be going away. We’re still dealing with hundreds of thousands of dollars in book store returns that rocked us in late 2008 and into 2009, right in the middle of an already aggressive restructuring. This lasted for almost the entire year, and subsided only a few months ago. Now we’re dealing with debts incurred by the distributor from those returns that are still being passed down to us. To stabilize the business all of these debts had to be set aside, to be paid off over time, while we focus on expenses related to current titles. This will continue for approximately another year by my estimation. Were it not for the returns I believe we would have had a very solid year, but as it is for much of the rest of the world. We showed a loss for 2008 and will as well for 2009, which is the case for many companies right now. Payments will be made to termed-out debts either as publishing profits come in or when there is a cash influx of any other sort that would allow it. Thanks to the direct market retailers for helping us while the book stores were hurting. It’s a reminder to publishers not to be too over leveraged in the book stores. After the past year our overhead is lower than ever, digital sales are finally coming in, and we’re looking at a number of other ways to bring in extra revenues from old inventory, new partnerships, and more. I am very sorry to every vendor caught up in our situation from the past year – I don’t fault anyone who doesn’t care to hear an apology, but they’re owed it. We quietly passed our 8th year in business in September, and thank you to the hundreds of people who have helped write, draw, color, letter, design, print and ship our books since 2001. We’re focused on pressing on and employing hundreds more in the years to come, and I look forward to when I can wake up and not be worried about this every morning, and when I go to bed at night. Those owned serious sums are stuck between a rock and a hard place. If they leave things as they are, they may fear they’ll never get paid. If they push too hard for payment, they may drive the publisher to close shop. The company is finding recent success with Jericho, Spartacus and Hack/Slash, with delayed payments only on the latter book. This has had the knock on effect that Hack/Slash creator Tim Seeley is owed thousands, and, despite offers, feels unable to move his serial killer revenge book to another publisher, for fear of losing any chance of getting that money back. Equally, if Hack/Slash left Devil’s Due, the company could collapse completely, and Seeley would be condemning a publisher he’s been a part of for so long. Josh tells me that rectifying the problems will take years rather than months but that it is something he’s dedicated to. He’s reduced his office overhead again, and pushing into digital comics with iTunes. It looks like an uphill struggle, but it’s one he’s prepared to undertake, rather than throwing in the towel. Who’d be a comics publisher, eh?